OptimiseRx is the only solution that is tailored to the medical record and takes into consideration current and previous medications, morbidities, observations and measurements to support prescribers to make the safest, most clinically appropriate prescribing decision. 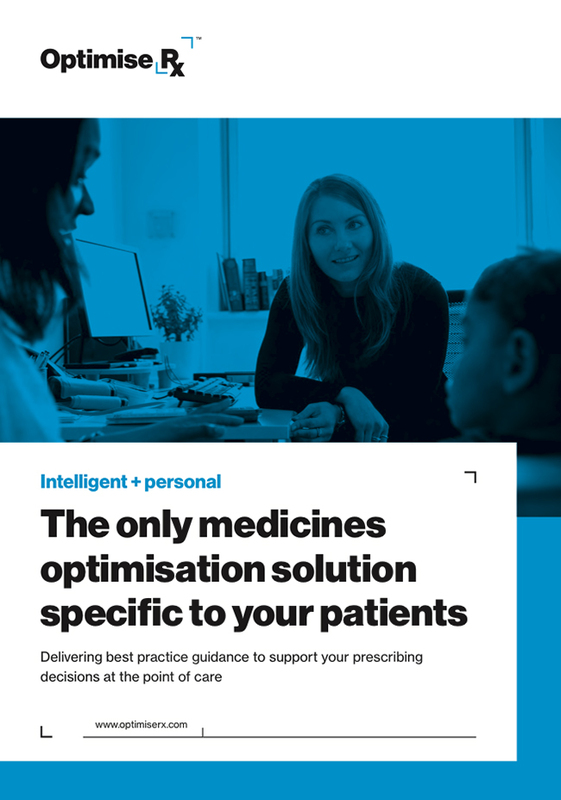 OptimiseRx uses hundreds of data sets to devise clinically relevant, best practice prescribing messages within the prescribing workflow of EMIS Web and SystmOne. Not you? Click here to reset the form. Keep the following box ticked to subscribe to relevant and interesting updates from FDB UK. We will not share your data with any third parties.